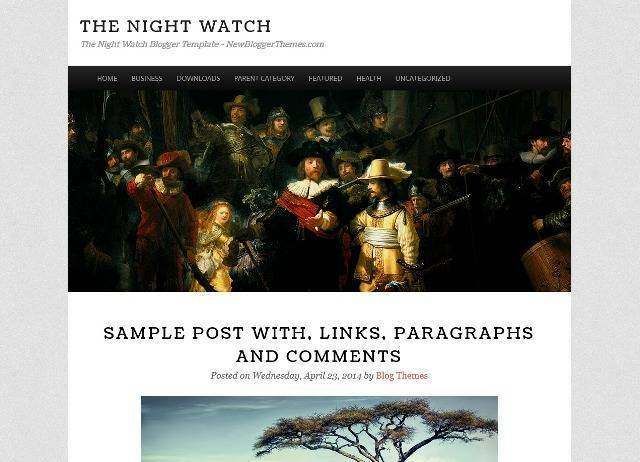 The Night Watch is a Responsive Photography Blogger template with 1 column, adapted from wordpress, header image, navigation menu, bottom widgets section and more features. 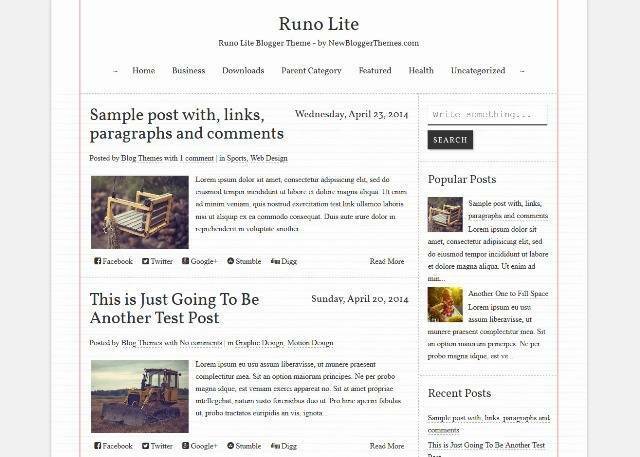 Runo Lite is a minimal and responsive, 2 columns Blogger template especially for writers. Features are 1 sidebar, 2 column, 3 column footer, adapted from wordpress, related posts, navigation menus, share buttons, right sidebar and more. 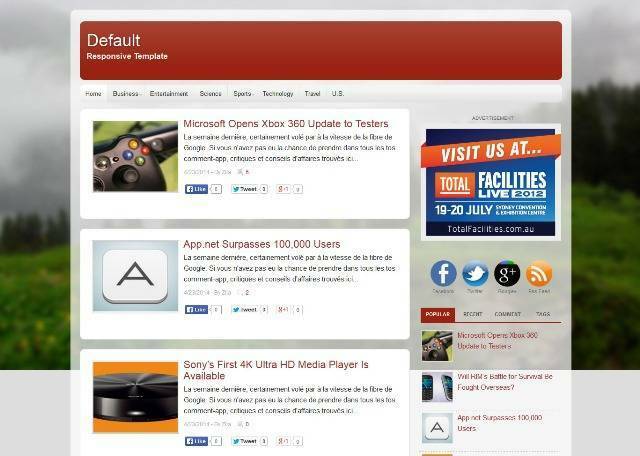 Default is a 2 column and responsive blogger template for personal blog. 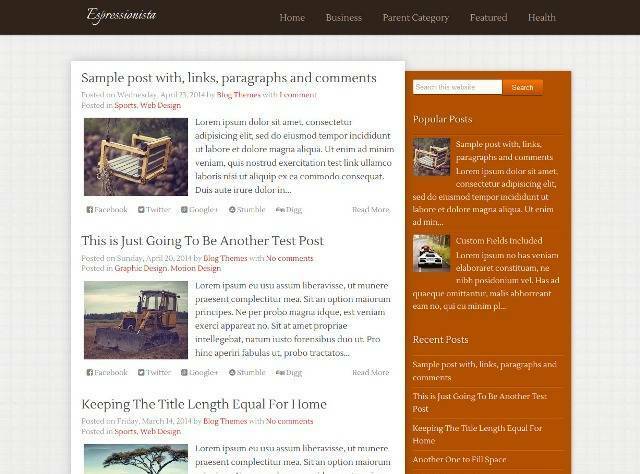 Espressionista is a fully responsive, 2 columns Blogger template with carefully chosen typography and a pleasant colour scheme. 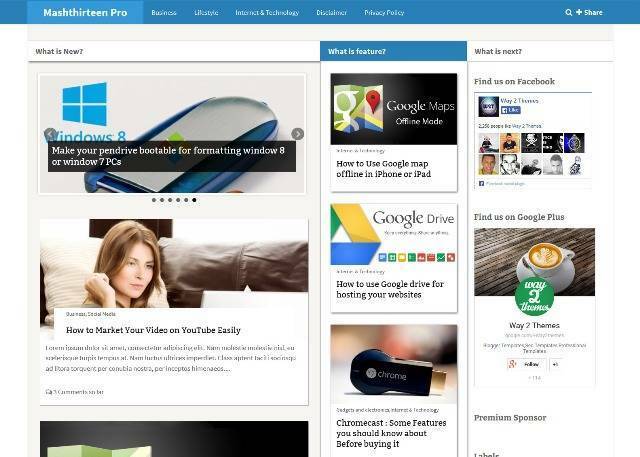 It has a simple and elegant design, fixed header, drop-down menus, related posts, share buttons and more. 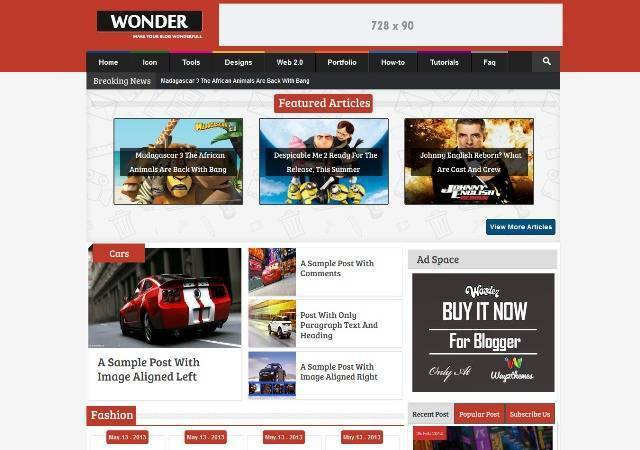 Wonder is very professional and responsive blogger template.it is a stylish and professionally designed template with 3 skins and 2 post styles for anyone who wants to make great website or internet businesses. This template is perfect choice for newspaper, magazine, editorial, personal blog, entertainment and portfolio. Mashthirteen is a responsive Magazine Blogger template. Features are Responsive, Search Engine Optimized, Cross Browser Support, Featured Slider, Featured Posts, Ads ready, Drop Down Menu, Social Buttons, Related Posts and more. 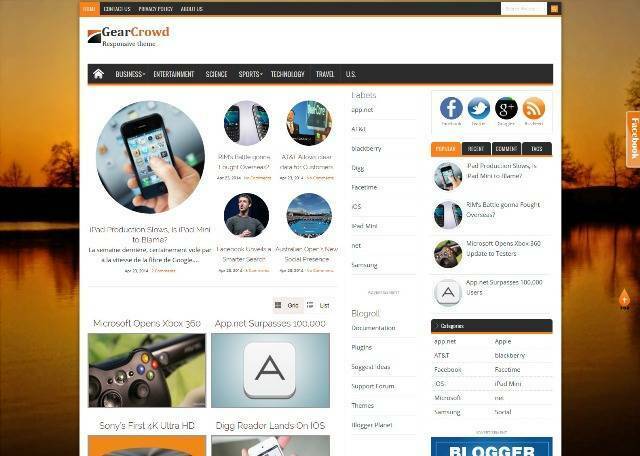 GearCrowd is a responsive Magazine Blogger template. 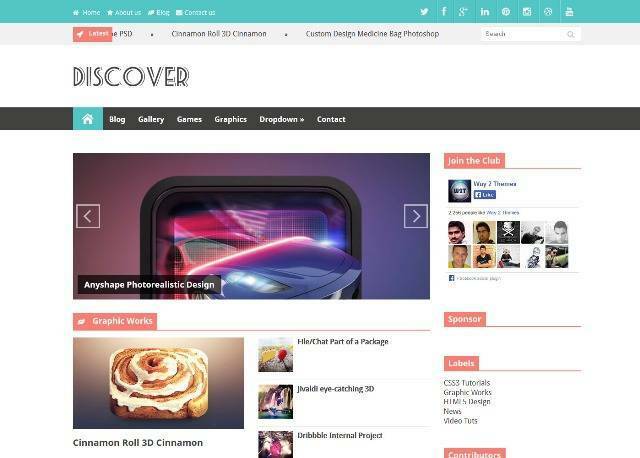 Discover is a responsive magazine style blogger template with flat and modern design. Features are Responsive, Search Engine Optimized, Featured Slider, Featured Posts, Ads ready, Drop Down Menu, Social Buttons, author box and more. Gaps is a simple & clean designed Blogger Template with a great responsive design. It has Advance Search Engine Optimization, Auto resize thumbnail image, Threaded Comment, Ads Ready, Grid based Design, Custom Error 404 Page, Auto Author Image and more.